Let’s be honest, this is the main reason I took the journey from London to Surrey for this Mercedes Media event where I also drove the SL 63 AMG and rode the smart ebike. 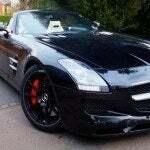 The Mercedes SLS AMG Roadster is one of those cars that us gearheads long to check off our “to drive” bucket lists. Frankly, Mercedes had some balls coming out with this car in the first place, back in 2011, considering that it competes almost directly with heavy hitters like the Ferrari 458 Italia, Lamborghini LP560-4, and Audi R8 GT. 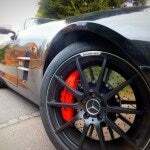 With the overall meh-factor of its predecessor – the Mercedes-McLaren SLR – the SLS AMG had to be good. Having been wanting to see how it competes with the Lambo and Ferrari first-hand for some time now, the last drive of the day was in the SLS Roadster. The first thing I noticed after stepping into the SLS AMG Roadster and putting it into Drive is how much it didn’t feel like a competitor to the 458 Italia or R8 GT. The gearbox didn’t jerk around between gears, it didn’t feel like it was pissed off to be going under 30 mph, and it didn’t make me cringe every time I approached a speed hump. It doesn’t feel like the supercar I was expecting – it’s more of a GT car like the Ferrari California or Aston Martin DB9. At least on the slow and busy English roads I was driving it on. But maybe that’s the point. It certainly sounds like it could go crazy at any moment. At low RPMs it sounds like a dragon is warning you to stop poking it with a stick. Get on the throttle a bit more and now it’s getting angry. I love the sound this car makes. Sadly, I never had the chance to hear it scream. 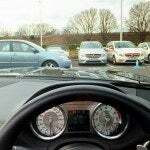 The speed camera-riddled A3 motorway made sure I kept it under 100 mph, although the lack of effort the 6.3-liter 571 hp V8 needed to get to 100 mph made it easy to blast up to speed in no time at all. Most of my hour or so in the SLS AMG was top-down, despite the bitterly cold weather. Not because I prefer convertible driving, but so I could hear the car’s exhaust note more clearly. Dropping down a couple of the car’s seven gears with the paddle shifters and punching the throttle while going through a tunnel is one of life’s greatest joys. Top up, visibility is a bit limited anyway. Not something I want to risk in a £201,475 car, especially when I’m used to being on the other side of the car (and road.) Luckily, not much of the bone-chilling wind got in at any speed; the wind deflector along with the windows rolled up (yes, I know it looks stupid) kept it pretty warm inside. The rotating knob to the driver’s left selects between Comfort, Sport, Sport+, and Manual mode. With my limited time I decided to trust the MB engineers and threw it into Sport+ most of the time, and although the difference in modes is noticeable, it still never felt like a track monster. 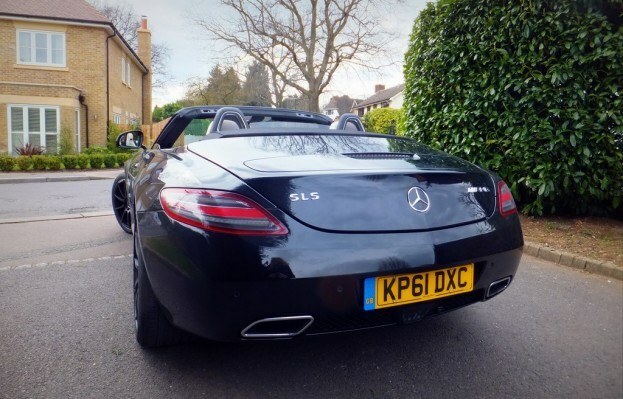 Perhaps that’s what the big “AMG” button is for…and a track. I still would have expected more excitement in Sport+ when punching the throttle though – there’s some hesitation between depressing the pedal and the car taking off. I wasn’t able to get that “throw you into your seat” acceleration unless I downshifted a few gears at higher speeds, then stepped on it. The fact that I kept setting the cruise control every time I wanted to turn right wasn’t great. For some reason, Merc engineers decided to place the cruise control lever in the same place the blinker lever normally resides. The blinker is lower than I’m used to. It never became a safety hazard, luckily – I always knew I hit the wrong lever as soon as I did it, and tapped the brake as needed. 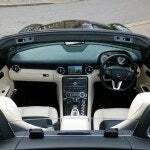 If you’re looking for the Roadster, prices start at £176,950 on-the-road. 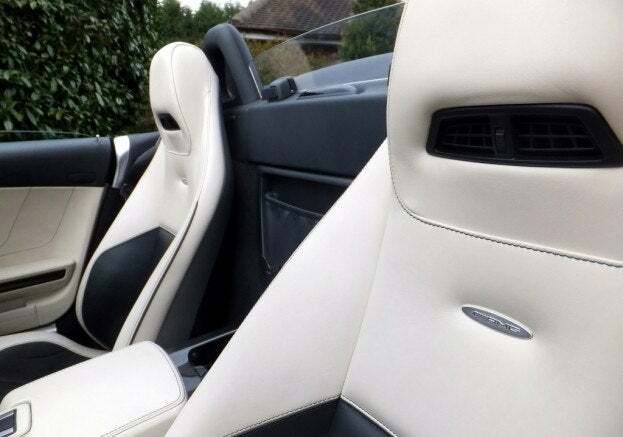 My tester was loaded up with quite a few options including some £1,025 carbon fiber side mirrors and £2,995 CF trim, a special leather and Alcantara-lined £340 steering wheel, an upgraded brake system worth £8,140 (and they work,) a £5,055 sound system, and a few other bits that made the total price for this car £201,475. But of course, if you do get the roadster instead of the coupe, you lose out on the best conversation starter: the gullwing doors, created as a throwback to the much-loved 300SL Gullwing. 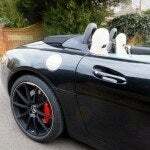 I really enjoyed driving this car, although not for the reasons I expected to. 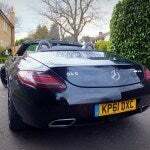 It’s a good car to cruise around in, has massive power when you need it, and I can see how on the track it could be a beast. And the sound…oh that wonderful sound. 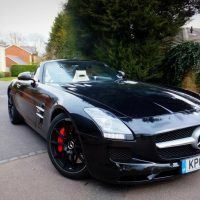 I haven’t driven the coupe yet, and I only drove the Roadster on the streets, but I’m struggling to find the connection between the SLS AMG and its given competitors apart from on paper. It doesn’t feel like a Ferrari 458, R8 GT or Gallardo LP560-4 in practice, despite the horsepower numbers being nearly identical. It wasn’t scary to drive, it was comfortable the whole time, and never even hinted at getting out of hand, even when the traction control decided to kick in. 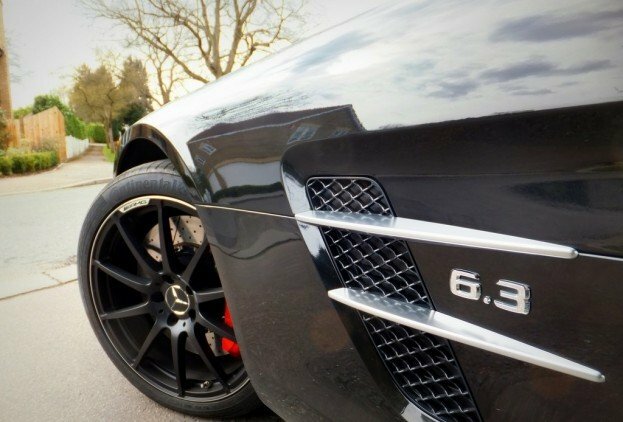 Interestingly, the SLS is cheaper than any of the other options, and has significantly more torque. 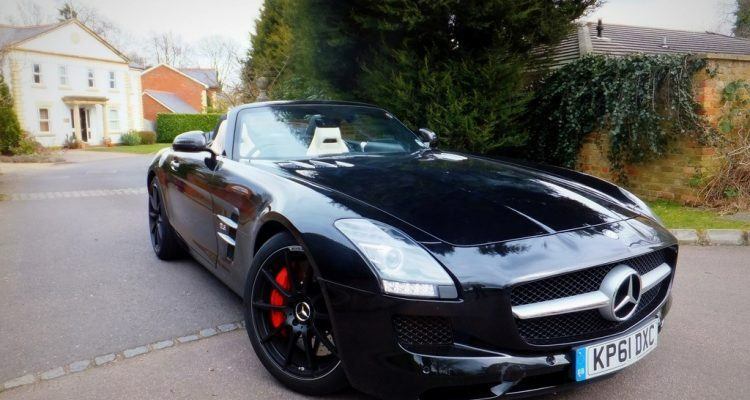 Pretty typical for any vehicle with an AMG badge. I’d love to get this car out on the track to see how its personality changes when pushed to the limit. Rest assured, if that happens, you’ll be reading about it here. Check out some more pictures from my drive below. 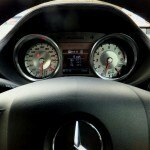 2 Comments on "Quick Drive: Mercedes SLS AMG Roadster"
I’ll go ahead and take that car. For free.